Mesopotamian Blue cat, Varjak Paw, has never been Outside before; he and his family have always lived in the isolated house at the top of the hill. But Varjak is forced out into the city when the sinister Gentleman and his two menacing cats take over his home. 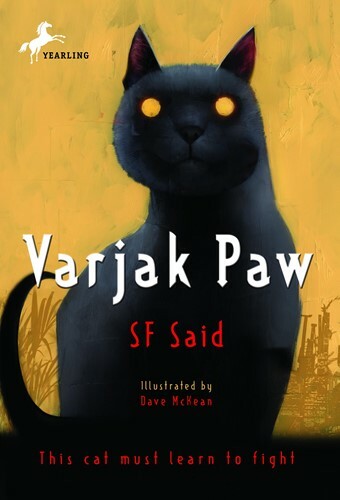 With help from his mystical ancestor, Jalal, Varjak manages to overcome challenges such as self-survival and a threat from the gangland cats, and he ultimately discovers the terrifying secrets behind the Vanishings. But can he save his own family from their fate? With wonderful integrated illustrations from acclaimed comic book artist Dave McKean, this book will appeal to all ages. From the Hardcover edition.